This month’s PenNorth is a short edition focussing on Northland events. Our next meeting will be held on Sunday 24 June, Kings Theatre Creative, Kawakawa from 11am (refreshments available from 10.30am). 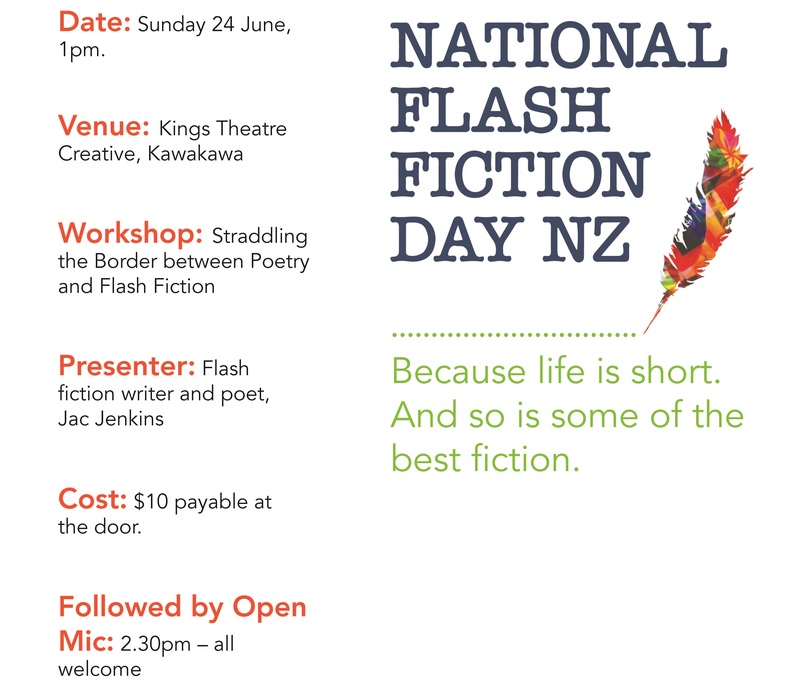 The meeting will be followed by National Flash Fiction Day Celebrations, details below. Wednesday 6 June, 7pm: Poetry Open Mic, Cherry Park House, 170 Landing Road, Kerikeri. Wednesday 13 June, 7pm: Dirtyword Open Mic, Old Stone Butter Factory, Whangarei. Thursday 21 June, 5pm: Poets at ONEONESIX, 116 Bank Street, Whangarei. Thanks so much for an informative and inspiring update, Kathy!